A playwright and two cricketing stars are among those in Herefordshire and Worcestershire recognised in the New Year Honours list. 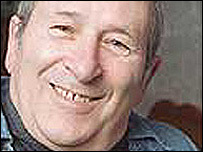 Arnold Wesker, author of plays such as Roots and Chicken Soup with Barley, is knighted for his services to drama. Worcestershire cricketer and this summer's Ashes hero Ashley Giles is made an MBE for services to cricket. Former Worcestershire captain Philip Neale, now the England cricket tour manager, is made an OBE. In the world of healthcare, consultant anaesthetist Dr Griselda Cooper of Bromsgrove and nursing adviser Susan Hawkett of Chesham become OBEs. Dr Melvyn Kershaw, head teacher at Haybridge High School and Sixth Form in Hagley is made an OBE as is John Thorley, the chief executive of the National Sheep Association in Malvern. Becoming MBEs are Robina Bailey for services to the Soldiers', Sailors' and Airmen's Families Association in Worcestershire and Winifred Chase for her work with the Three Choirs Festival in Hereford. William Lawrence is recognised for services to agriculture and the community in Herefordshire. Peter Pember, enquiry centre manager at the HM Revenue and Customs in Herefordshire is made an MBE as is Colin Richards of Leominster, conservation officer at South Shropshire District Council. Also appointed MBEs are Athenson Seales, operational support grade at HM Prison Long Lartin and to Dr Mary White, chairwoman of the Bromsgrove Music Festival.